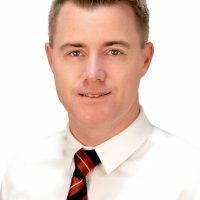 As one of Darwin’s leading and most successful real estate agents, David Oliver takes great pride in representing Elders Real Estate Darwin. He believes his values, integrity and approachability are synonymous with what Elders iconic brand represents. David has actively sold real estate at a high performance level in Darwin for over a decade and has been a driving force in assisting Elders become Darwin’s leading agency. As a key member of the sale department, he is constantly amongst Elders top performers both locally and also within the national Elders group. Previous to real estate, David worked in Health Management and was a footballer applying his other developed talents in national and senior state leagues. This career was sacrificed to support a terminally ill family member as well as comfort those closest to him. These key experiences are just some of the many reasons people find David so enjoyable to work with and so authentic to listen too, because his story is not every day. David has often set suburb, street & complex sales records as a result of his eagerness to promote the best-selling process, which he individually tailors for every client. He has a clear ambition to extract the highest result possible for his clients. Seen as a leader by his peers David specialises in personalised marketing campaigns and home preparation for every sale in the Darwin real estate arena. David is blessed to have a partner who is a part of the industry who endorses his passion for real estate as well as David’s other great passion which is living life to the fullest!